Douglas County CEO Trade Show will be held Thursday, April 25 from 5-7 pm at Yoder's in Arthur. Come out and see the businesses that the students have developed! 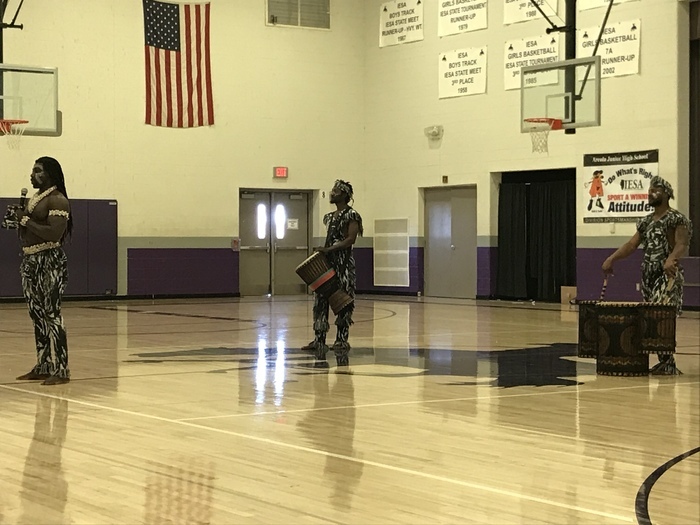 Douglas County High School students hearing a powerful message about addiction from Nick Gore! 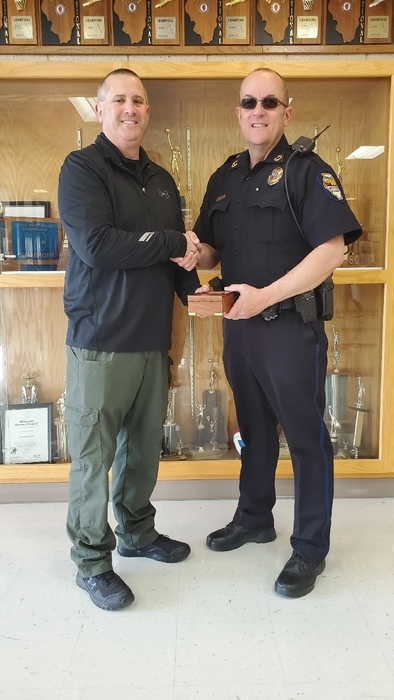 Daryl Weseloh, Chief of Police Minier, D.A.R.E Board, presented Arcola's Michael Phillips with an award commemorating his 20 years of service to the D.A.R.E. advisory board. Scott's Law – If It's Flashing Move Over Driver Education Instructors, So far in 2019, 14 Illinois State Troopers have been hit by motorists while stopped on the side of the road, compared to eight incidents in calendar year 2018. 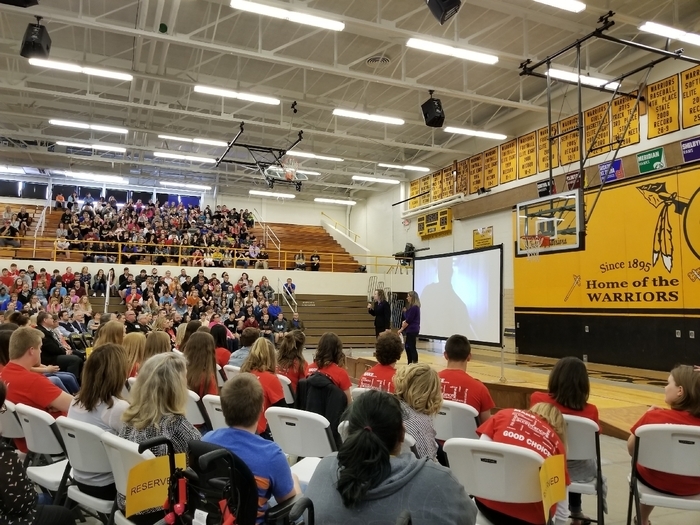 The Illinois State Board of Education and the Illinois State Police are working together to ensure all teen drivers, their parents, and families have the information they need to protect those who protect us. 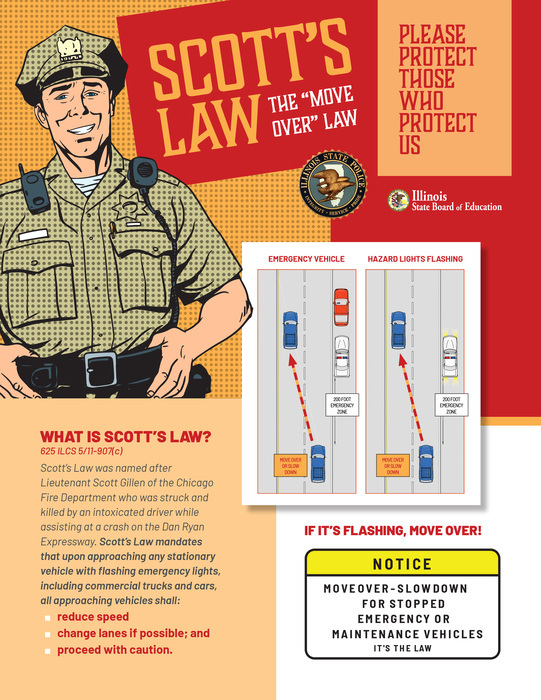 Scott's Law, also known as the Move Over Law, was named after Lieutenant Scott Gillen of the Chicago Fire Department who was struck and killed by an intoxicated driver while assisting at a crash on the Dan Ryan Expressway. Scott's Law mandates that upon approaching any stationary vehicle with flashing emergency lights, including commercial trucks and cars, all approaching vehicles shall: • reduce speed, • change lanes if possible; and • proceed with caution. 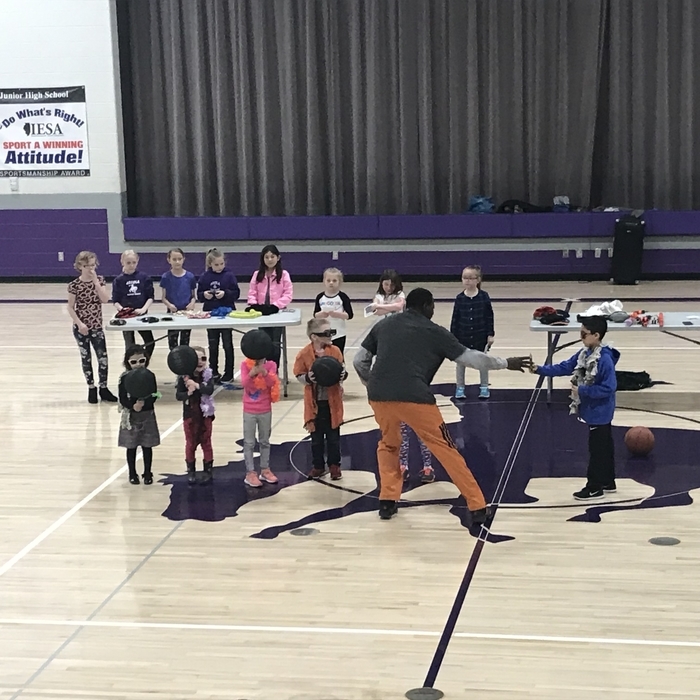 Basketball skills on display at Arcola Family Night. 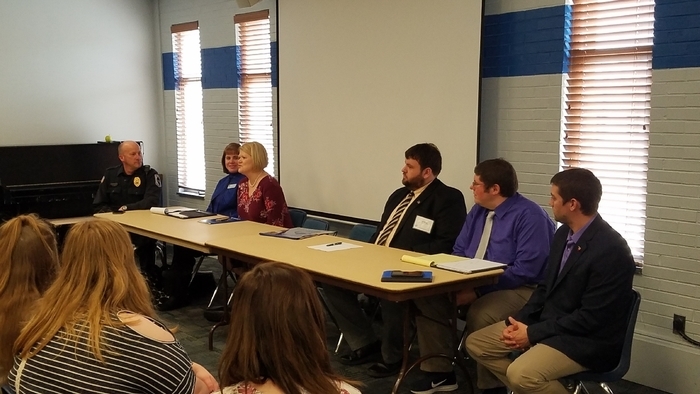 Mrs. Sigrist serving on the speaker panel at EIU on school safety. 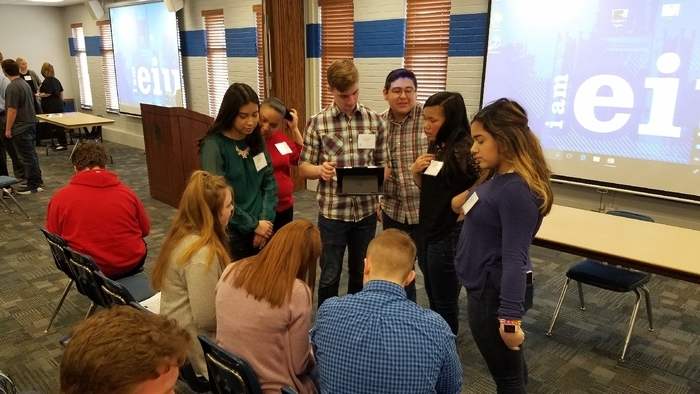 Arcola students collaborating on school safety as part of the EIU Informed Action Planning Forum. 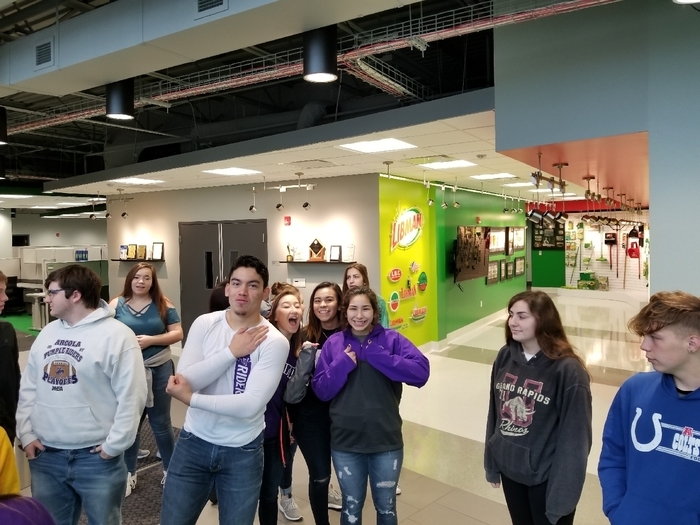 AHS students are taking the lead! 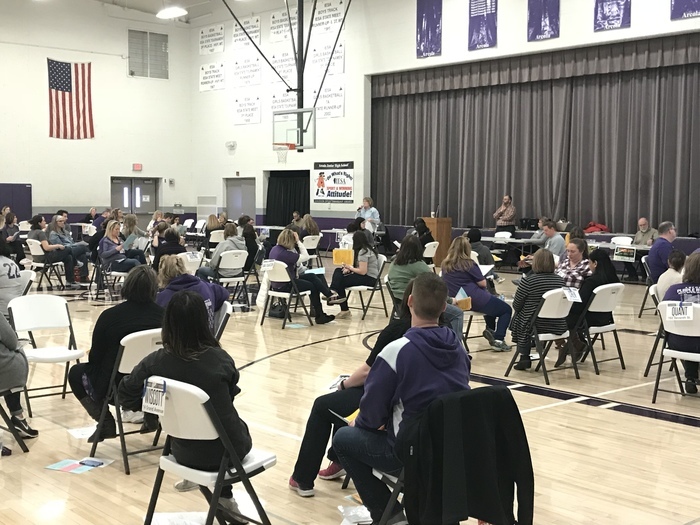 The Arcola Economic and Community Development (ACED) group is conducting a community-wide survey to gather important information about the future of Arcola. To serve your community, please take a few minutes and complete this brief survey no later than March 30. It should only take around 5 minutes. 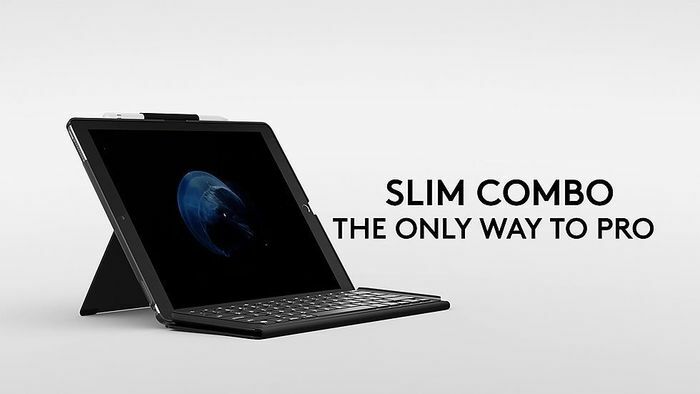 Please go to the following website link http://bit.ly/ArcolaSurvey. Some participants will be randomly selected for cash prizes. 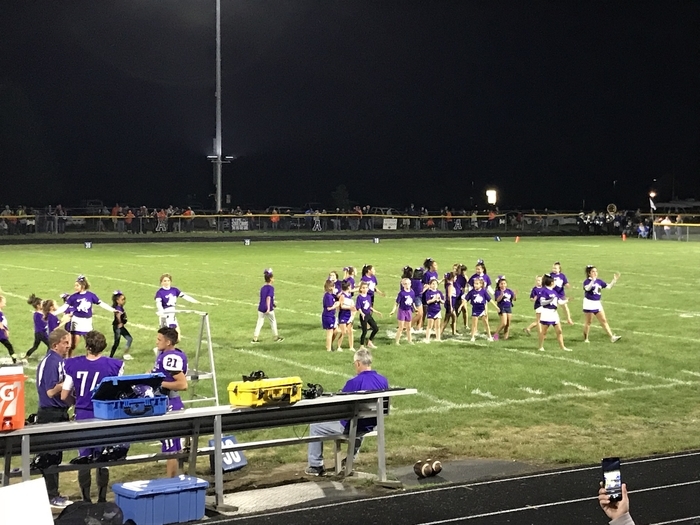 Riders with the lead over Agenta 36-17 with two minutes left in half. Douglas County Spelling Bee getting ready to start. Good luck! Working with the green screen with the high school geography class. Due to the recent change in forecast, the Arcola School District will be closed for school tomorrow. Check the district social media sites and website tomorrow for information on evening activities. Reminder, there is no morning preschool class tomorrow. 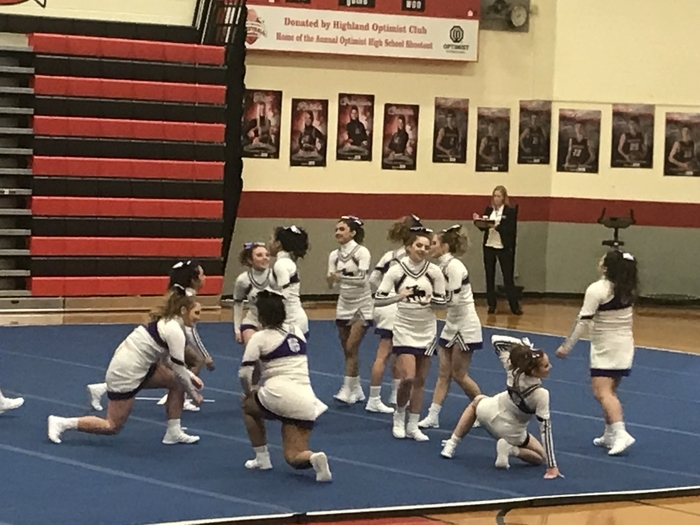 Also, Kid Camp forms for Cheer are now due on Friday, Feb 1. 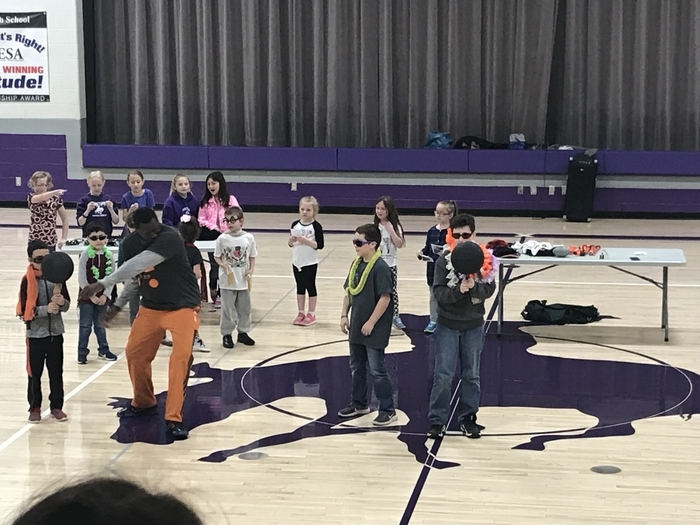 Kid Camp runs next week on Tuesday, Feb 5 and Thursday, Feb 7 from after school until 4:30. The performance is set for Friday the 8th at Friday, during the HS Boys Game. The cost is $15 if your Little Rider attended the fall Kid Camp and $30 if this is the first one this year. This is a reminder that the Arcola School District will have a “late start” on Thursday, January 31 starting at 10:00 am. The buildings will be open at 9:30 am for students to be dropped off. Anyone that normally does NOT ride a bus but will need a ride that day, please contact Gould Transportation at 253-2232. The Arcola School District has cancelled school and all school activities including practices for Wednesday, January 30 due to the projected extreme cold temperatures. In addition, the district will have a “late start” on Thursday, January 31 starting at 10:00 am. The buildings will be open at 9:30 am for students to be dropped off. Anyone that normally does NOT ride a bus but will need a ride that day, please contact Gould Transportation at 235-2232. 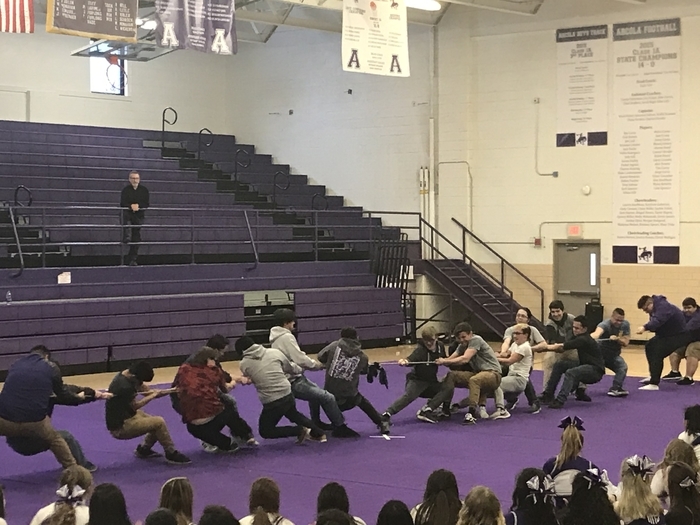 Sophomores dominate the tug of war!!! Riders pull out game 3, 25-23! Riders drop game 2 to Casey 25-16. Heading to the rubber game. Drive slow coming into school today! Roads a little slick and fog out there. 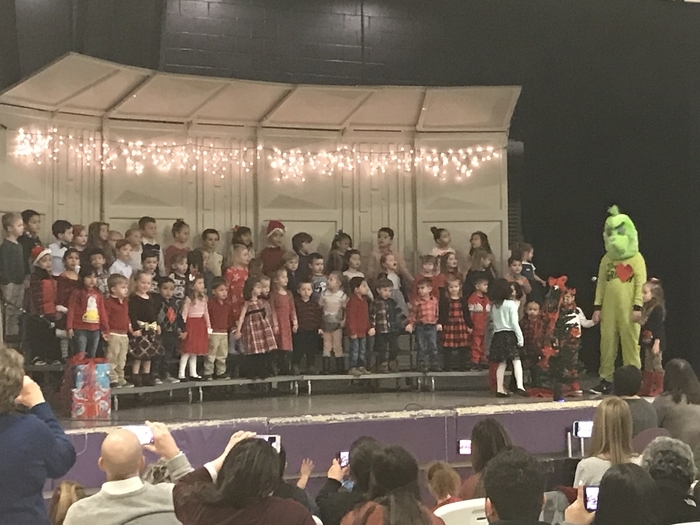 Our preschool little riders helped Grinch grow his heart at their winter concert! 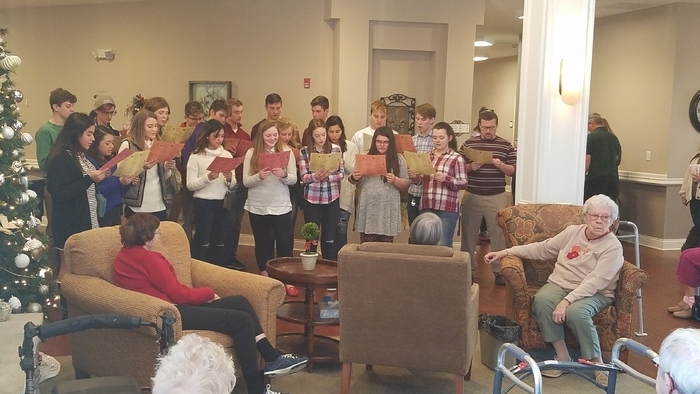 AHS Student Council students were out singing Christmas Carols at the Carriage Crossing in Arcola. Please be aware, the sign off of Rt. 133 will be off during the construction of the new maintenance shed. Anyone that turned in requests to have birthdays ran on the sign, those will still be ran on the Elementary sign by the circle drive. Waiting for Rider Cheerleader’s 1st Comp show of the season! Riders getting fired up with pep assembly! 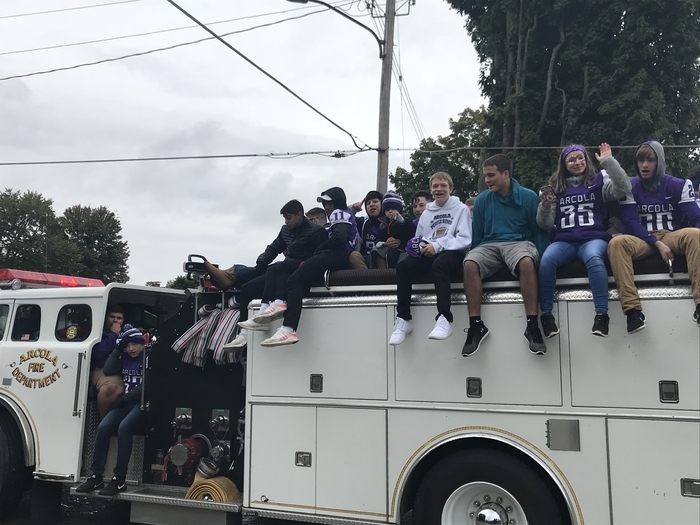 The Arcola School District will again be using a “Late Start” schedule as an option this school year when there is inclement weather. This means that on “Late Start” days school will start at 10 am and end at the regularly scheduled time. The regular bus routes will run two hours later than normal. A “Late Start” will be announced just like any school closing. We will publicize on TV and Radio, as well as send out information on our phone notification system and social media. To assist with transportation concerns, we have partnered with Gould Transportation to provide free in-town bus service on “Late Start” days for students that are not already on a regular route. 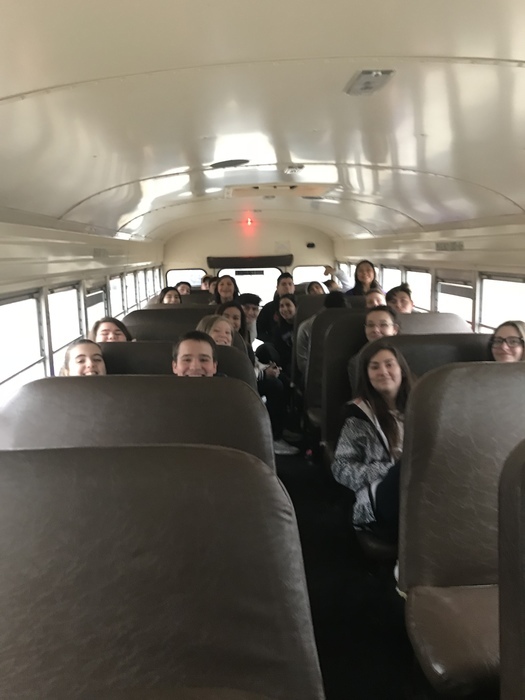 If you live where district transportation is NOT currently provided and you are NOT on a paid in-town bus route but would like your student to be transported on “Late Start” days only, please contact Gould Transportation at 253-2232 to get signed up. Congrats to 7th and 8th Grade Girls on Conference Tournament Championships! 7th grade girls b-ball team leads Tuscola 12-7 at halftime. Keep it going Riders. 8th Grade Girls B-ball up 11-4 over Tuscola at half. The Purple Rider Volleyball team will be holding their annual Pink Out game tonight, in the Jr. High Gym. Come out and support your Lady Riders and check out the items we have to raffle off. All money raised will be donated to Mills Breast Cancer Institute in Champaign, IL. We would appreciate your support. 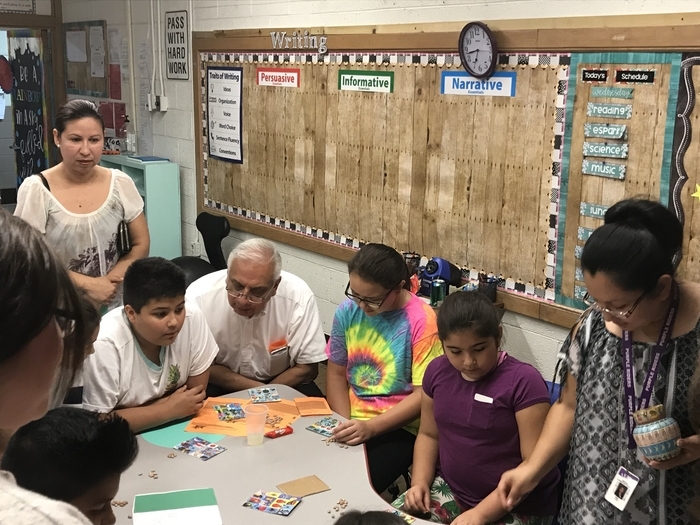 Even Father Angel stopped for bingo at Hispanic Heritage Night! Hispanic Heritage Night at AES! 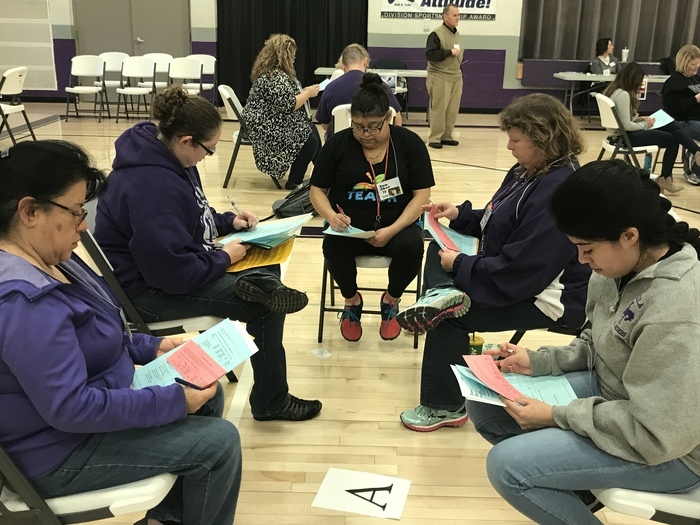 Arcola School District is seeking candidates for the position of Evening Custodian Supervisor. This person will work from 2:30 – 11:00 pm Monday through Friday. Salary will be based on experience and qualifications. Position also offers health insurance benefits; paid vacation, holidays and sick time; and IMRF Retirement program, which includes a company match. If interested, please contact Ken Vogt by e-mail kvogt@arcolaschools.com or by phone 217-268-4963. 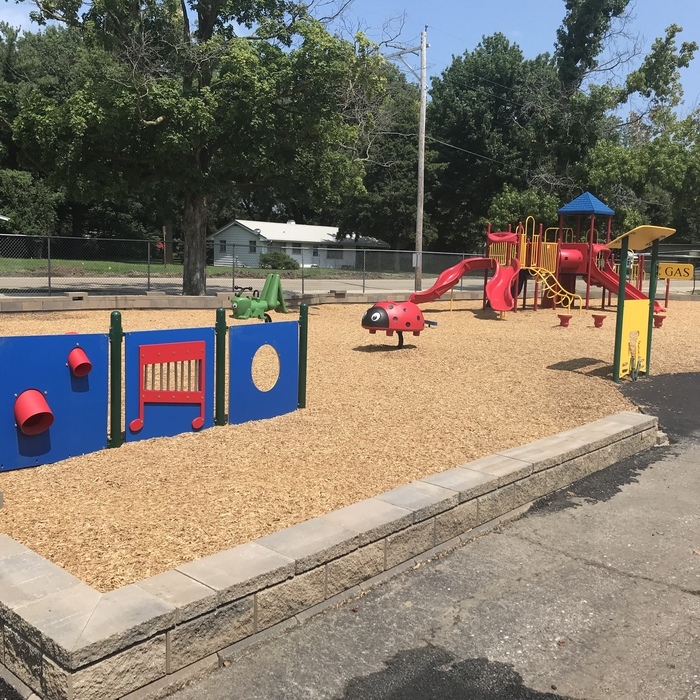 The Arcola Community and Economic Development (ACED) Organization is looking for talented individuals willing to create and submit a logo design, that will be voted upon, to be used as the new “Marketing Brand” for the group. Go to http://www.arcola.k12.il.us/aced-branding-contest for details! World History students unraveling the mystery of the Pyramids. Riders up 21-0 in 3rd. 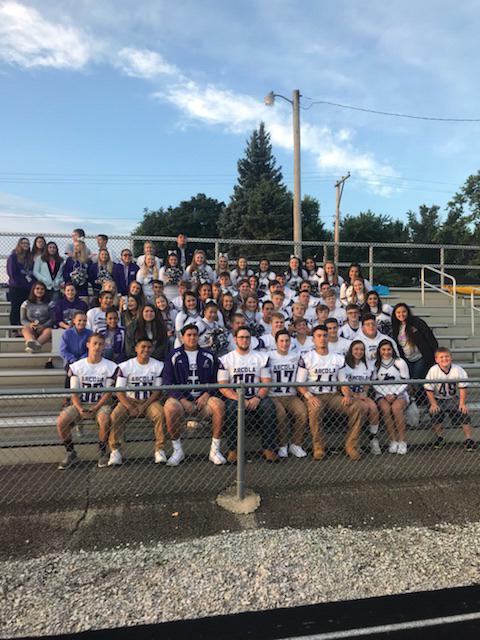 Arcola will team up with WCIA news to "Tackle Hunger". Bring in any of what they call the Super Six: Canned Meats, Canned Meals, Canned Vegetables, Canned Fruit, Boxed Meals, or Peanut Butter. 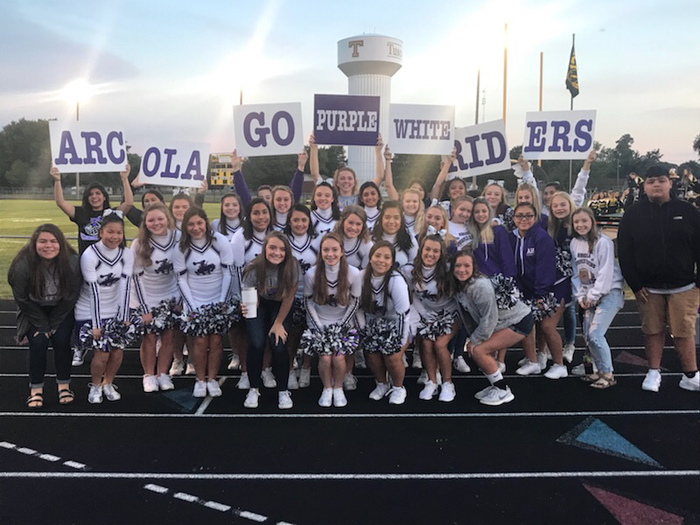 This will be another part of the Cola Wars, as Tuscola will also be collecting food during the week. 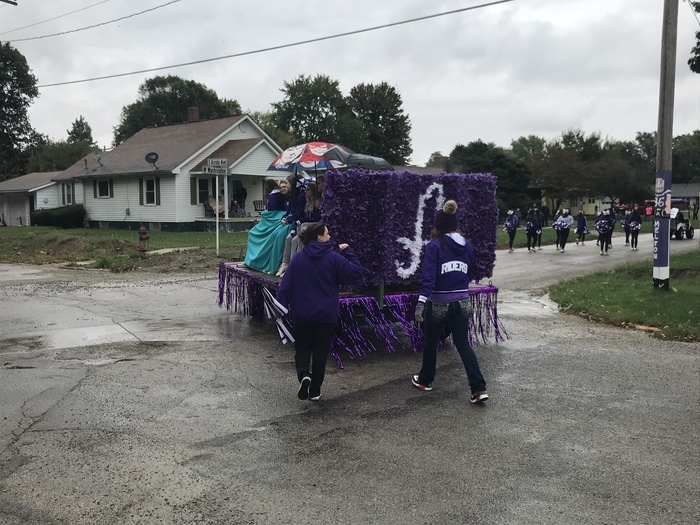 The Eastern Illinois Food Bank will pick up the food and weigh it, the school with the heaviest amount will be the winner. They will also be collecting money and food at the gate the night of the game. The food/monetary donations will help "tackle hunger" in our community. Thanks for James Hendrix for the awesome design and installation! 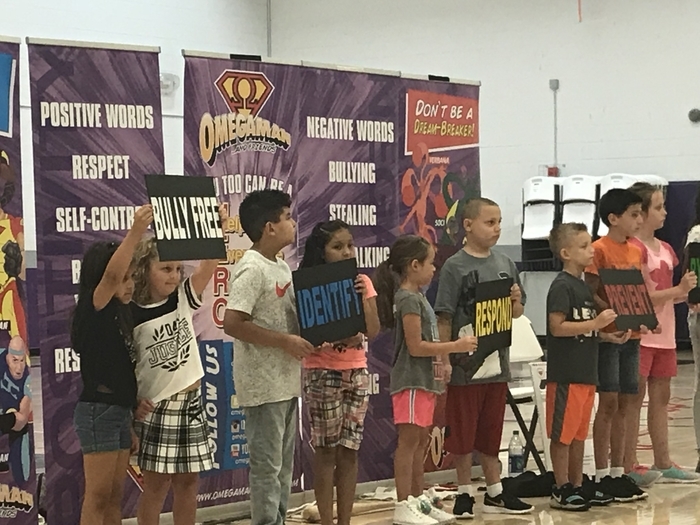 Omegaman helping create a Bully Free Zone in Arcola!! 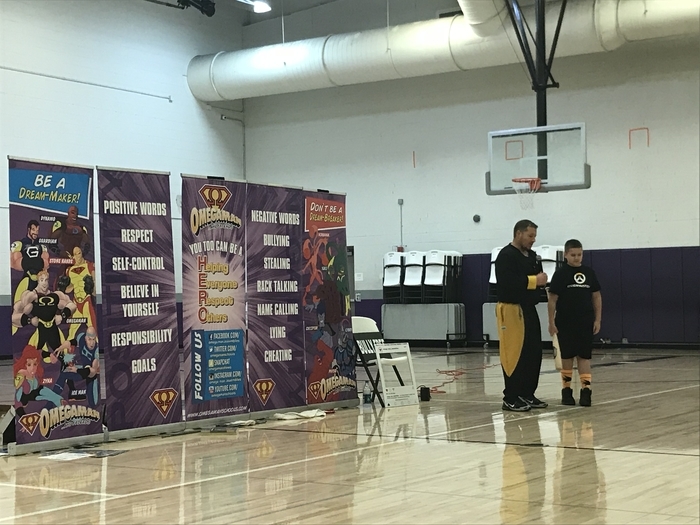 Omegaman talking about respect with our elementary student! Arcola welcomes Golene Thrush as new 3rd Grade Classroom Teacher! Ms. Thrush will be teaching 3rd grade next year. She is replacing an elementary classroom teacher that recently resigned. She will be coming to us from the Georgetown School District and is also an EIU alum. 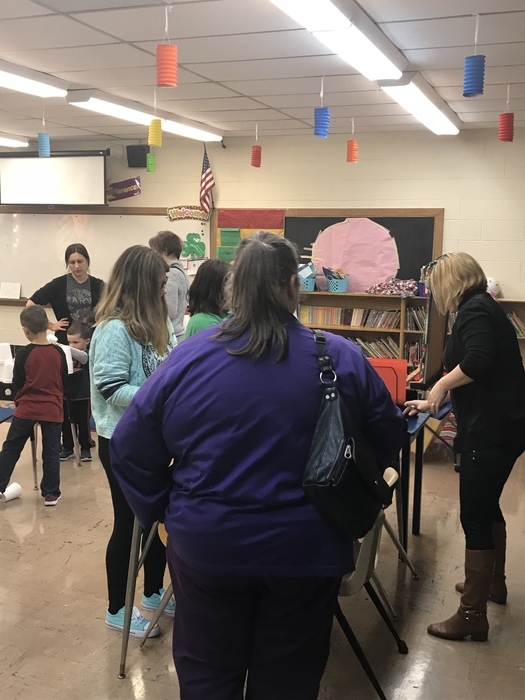 At EIU, she was part of the prestigious Golden Apple Scholar program, which is a highly promoted teacher preparation program. Arcola welcomes Aimee Lugo as new 6th Grade Classroom Teacher! Mrs. Lugo will be teaching 6th grade next year. She comes with several years of experience as well as she has been teaching at Shiloh Elementary School since 2012. She is married to Arcola veteran teacher Alex Lugo who has taught Art here for many years. Aimee is also a graduate of EIU and we are excited to have her as part of our team. She is filling a vacancy created because Ms. Cleeton will be moving from the classroom to a reading recovery intervention position. 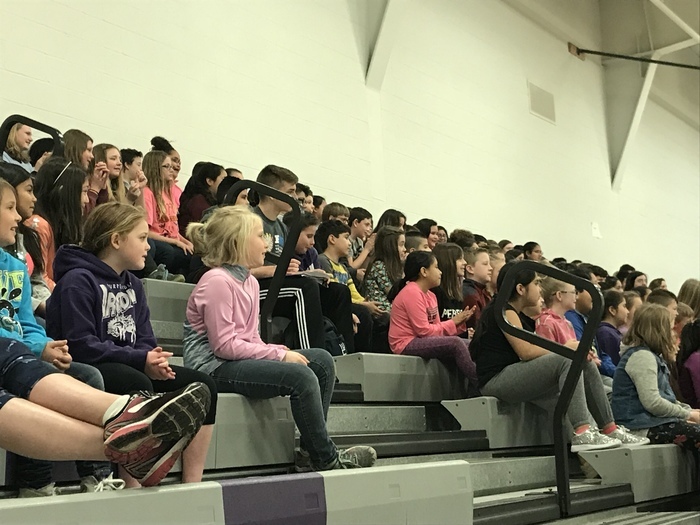 Arcola School District is seeking candidates for the positions of Elementary School Attendance Clerk. 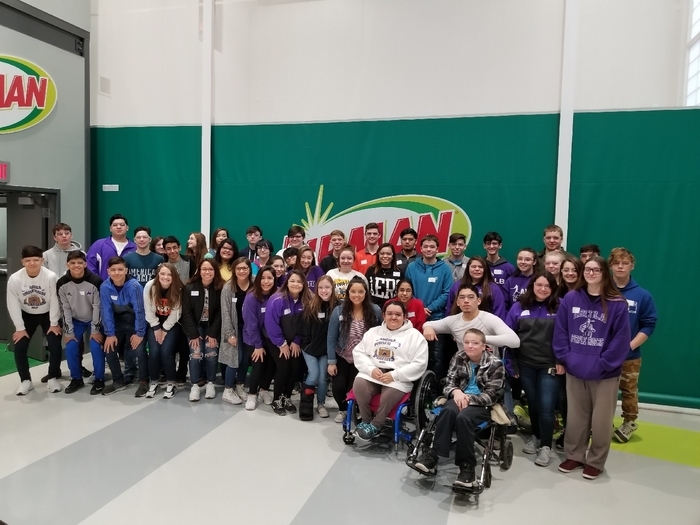 Applicants should mail or e-mail letter of application and résumé to: Angie Gentry, Elementary School Principal Arcola School District #306 351 W Washington Arcola, IL 61910 agentry@arcolaschools.com There is no deadline for applying but the position will be filled once the district finds the appropriate candidate. 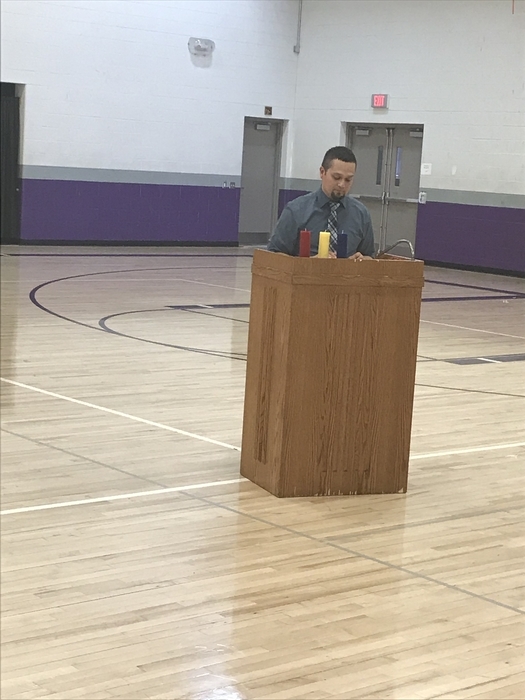 Arcola welcomes James Caudle as new Junior High Math Teacher! 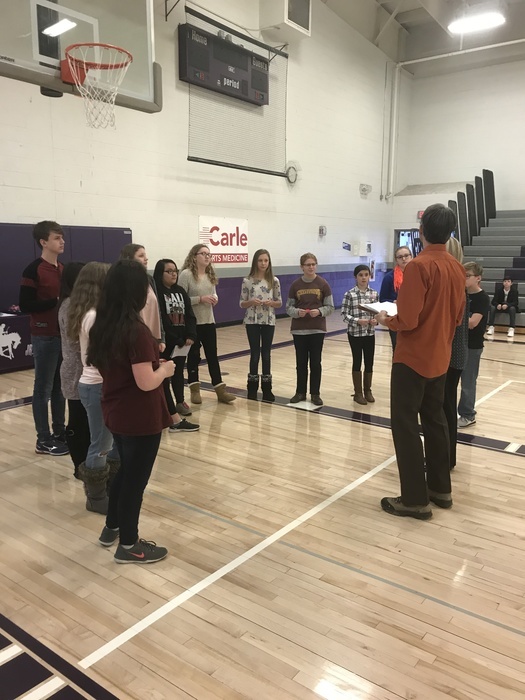 Mr. Caudle brings a strong math foundation with being a high school certified math teacher and having twenty years of experience teaching junior high and high math in Lovington and then ALAH. 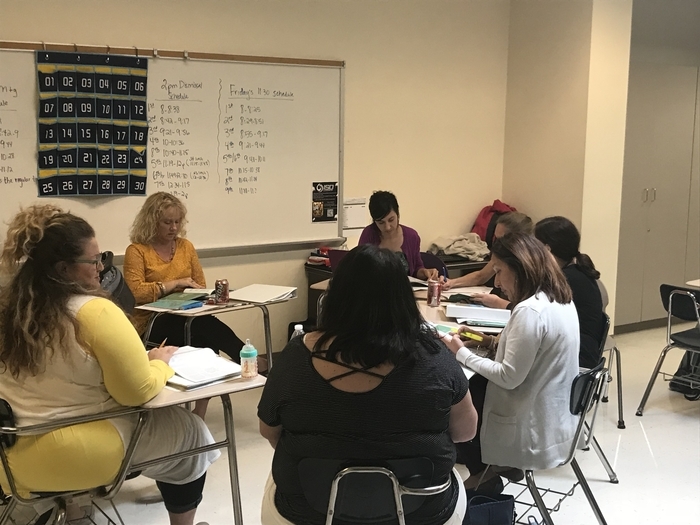 Math teachers are very hard to find and the district is excited to find one with such strong credentials! 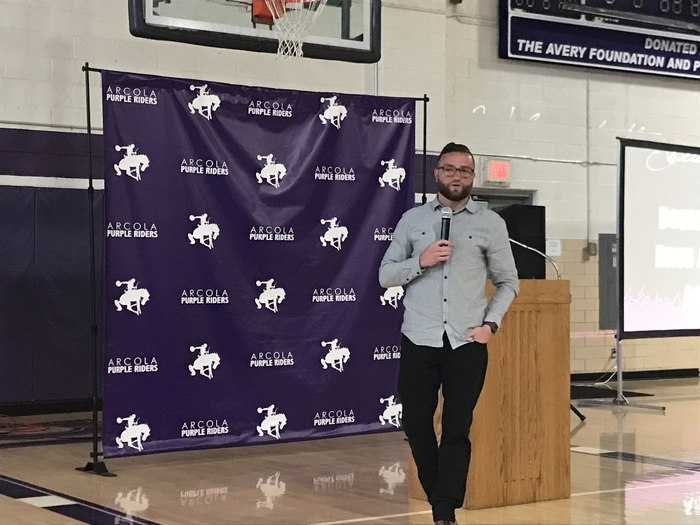 Arcola welcomes Zachary Klunick as new HS Spanish Teacher! 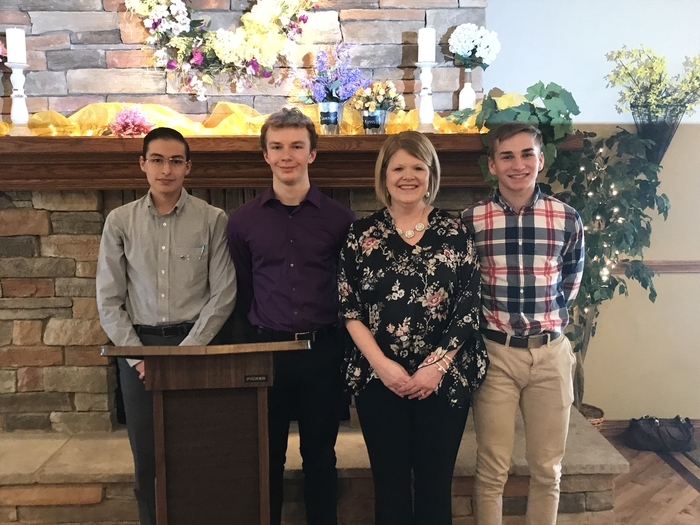 Mr. Kluinick will be replacing Pilar Ramos as our high school Spanish teacher next year. Ms. Ramos will be going back to Spain after a three-year stay in the United States. 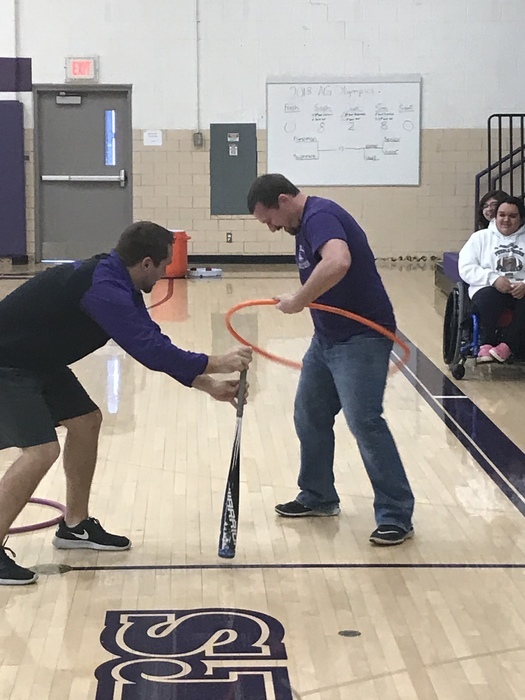 Zach is also a veteran teacher that grew up in the Springfield area and is currently teaching at Illini Central High School. He has spent extended time in both Mexico and Peru, which shows his passion for the Spanish Language! 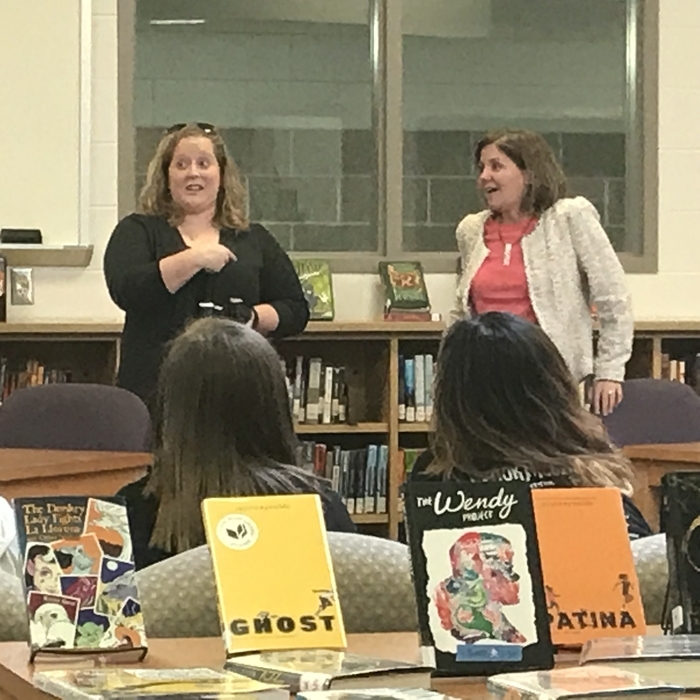 Arcola welcomes Amanda Mendez as a new JH-HS Counselor! Amanda will be filling the new junior high-high school counseling position that was added for next school year by the Board of Education. 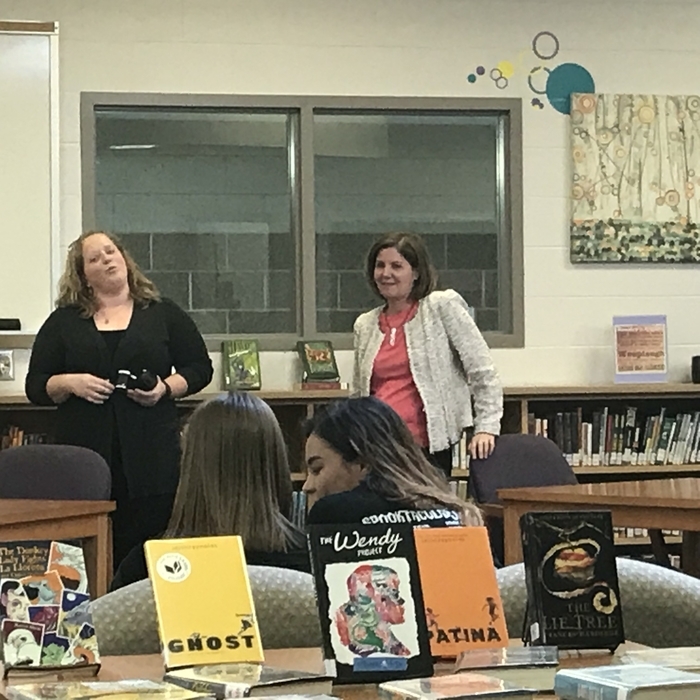 She has spent the last several years as a high school counselor in Monmouth-Roseville High School. She has worked with a very diverse student population in Monmouth and she is fluent in Spanish. She is also an EIU graduate and we are excited to have her sharing her talents in Arcola! 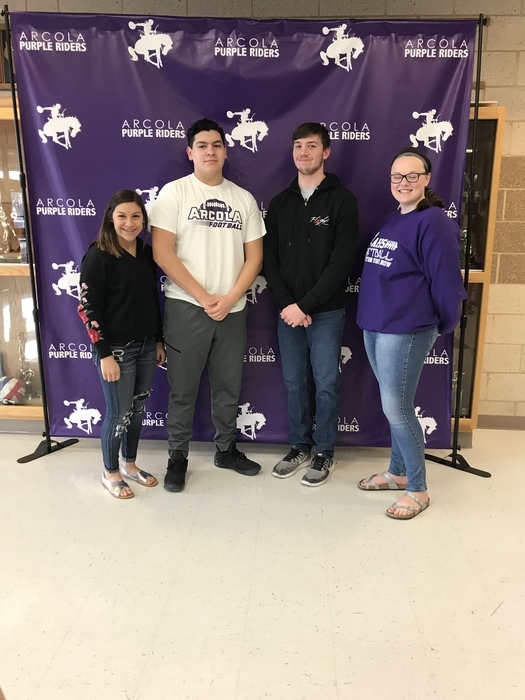 Arcola welcomes Robert Boyd as new HS Math Teacher. Mr. Boyd will be teaching High School Mathematics. This position was vacant because Riley Fore moved from the math position to the instructional coach position next year. Robert has over twenty years of experience teaching high school math. He comes to us from Tuscola High School. If you need bus service for the upcoming school year be sure to call Gould Bus Service at 253-2232 to add your child to the bus route. 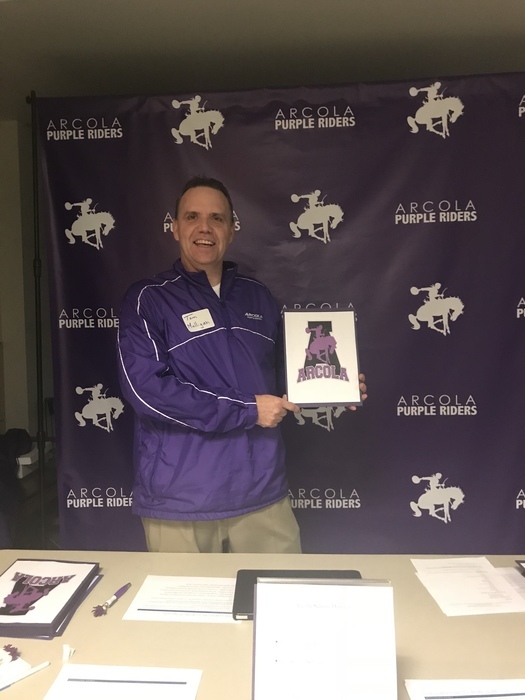 Arcola welcomes John Craig as new HS History Teacher! John will be filling the newly created High School Social Studies position, John graduated from Eastern Illinois University and taught many years at the Okaw Valley School District before moving with his family up north where he taught at River Grove Junior High. John will bring a wealth of classroom experience and a passion for history to our school! Warm welcome to Greg Gisinger. Greg will be filling the newly created K-12 Physical Education teaching position. He will also be the new High School Head Boys Basketball Coach. 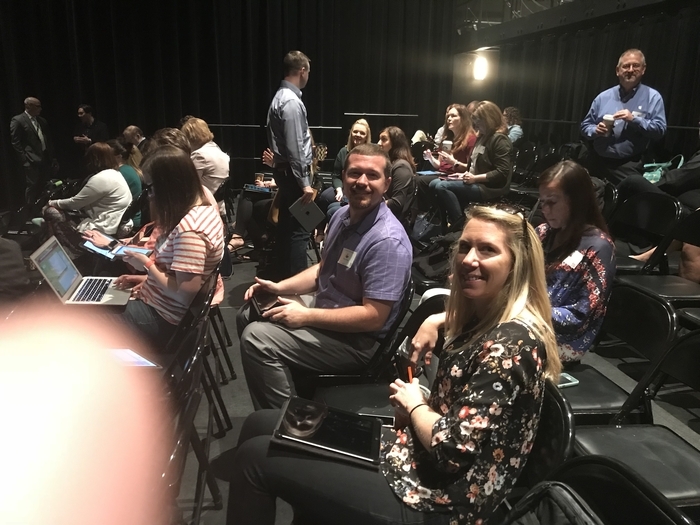 Greg has many years of experience both in the classroom and coaching and he comes to us from the Watseka School District. He attended high school in Cerro Gordo. He will now be rooting for the Purple Riders instead of the Broncos! 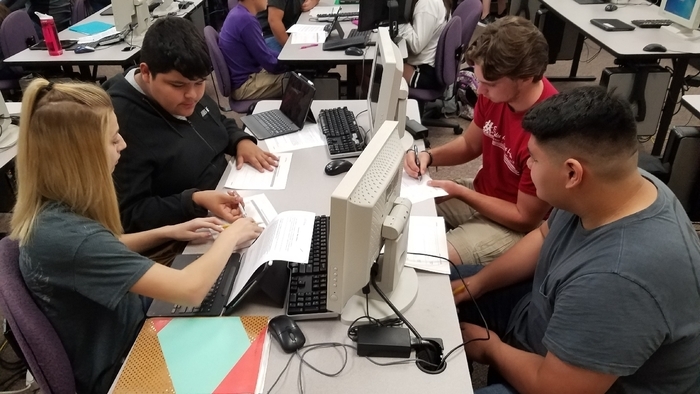 Don't forget to register you student(s) for the 2018-2019 school year. The process is simple and can be completed at www.teacherease.com. 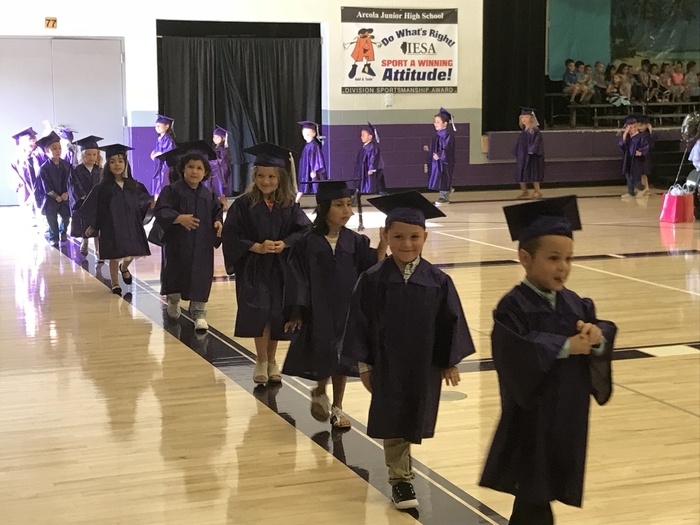 If you do not have a parent email hooked to your student then email jhohlbauch@arcolaschools.com with the email address to be added and the names of the kids to be link it too. 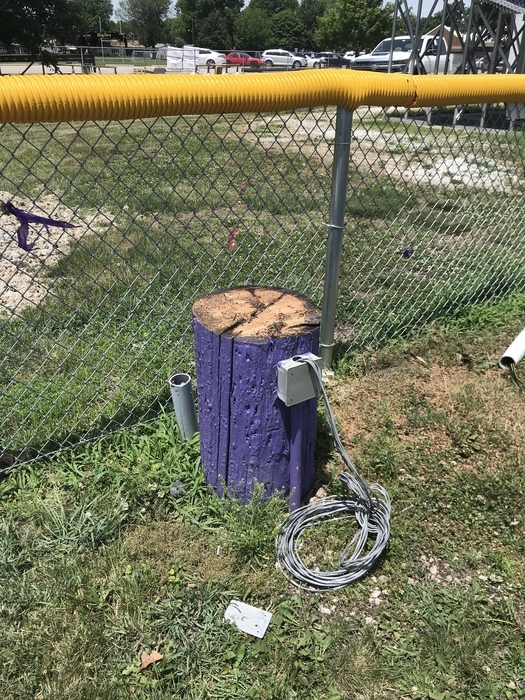 Not much left of the old pole! 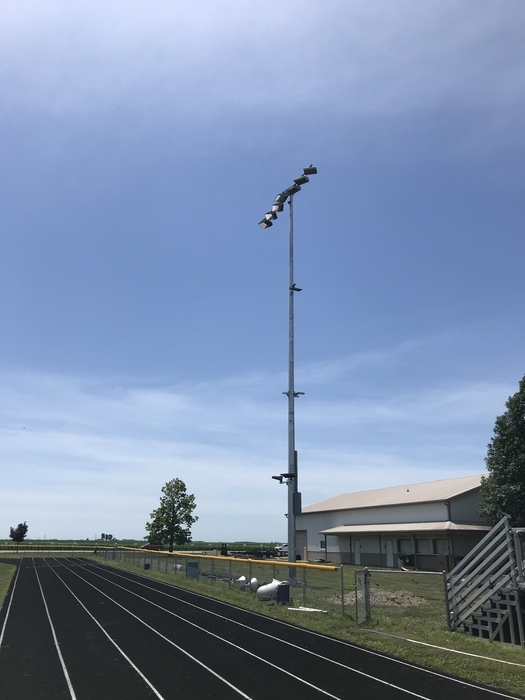 New LED Football Lights going in!! 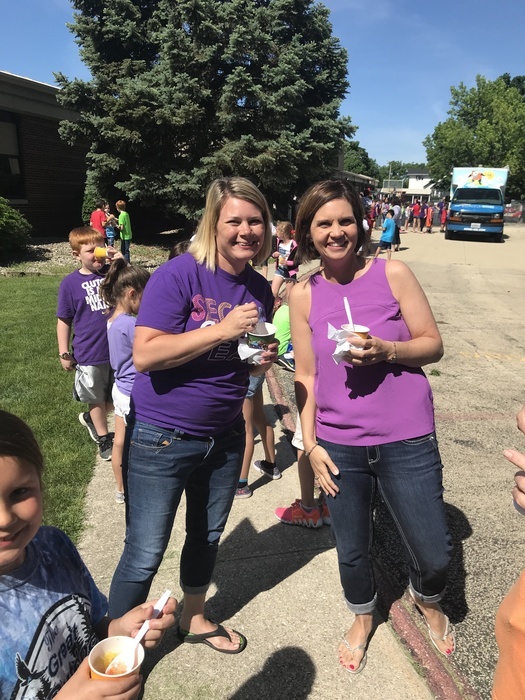 Project Success treating everyone to snow cones! 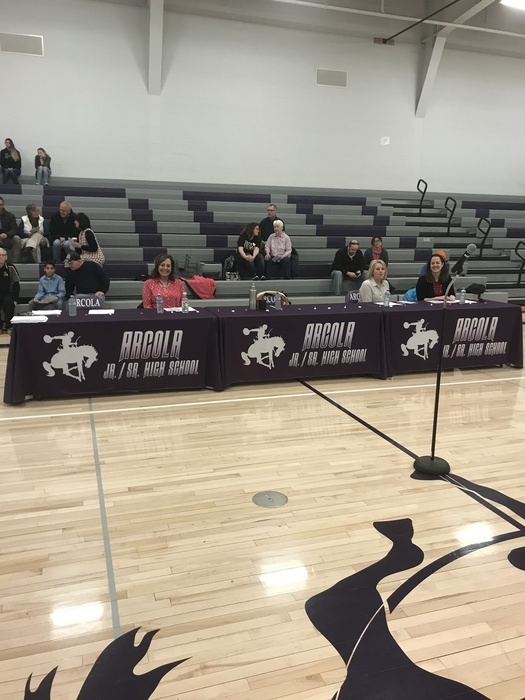 The Arcola School Board recently approved some changes to the student fee schedule for the 2018-2019 school year. 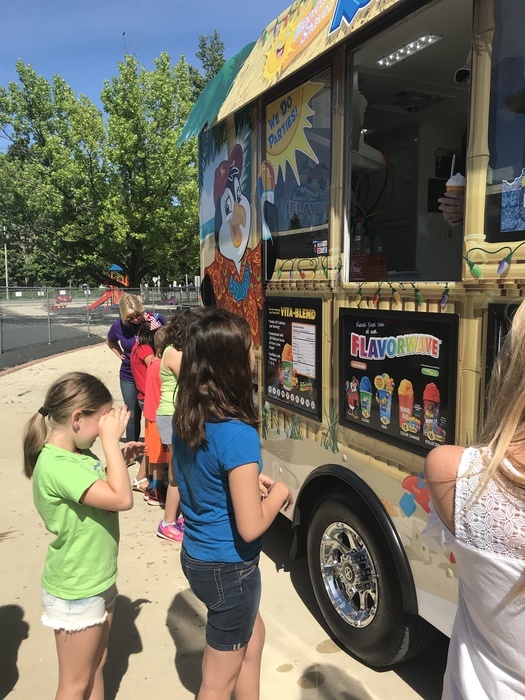 The Board approved an increase of $0.10 in lunch and breakfast prices for next school year. The increase would be from $1.95 to $2.05 for elementary and $2.20 to $2.30 for JH/HS. The increase for breakfast will be from $1.35 to $1.45. 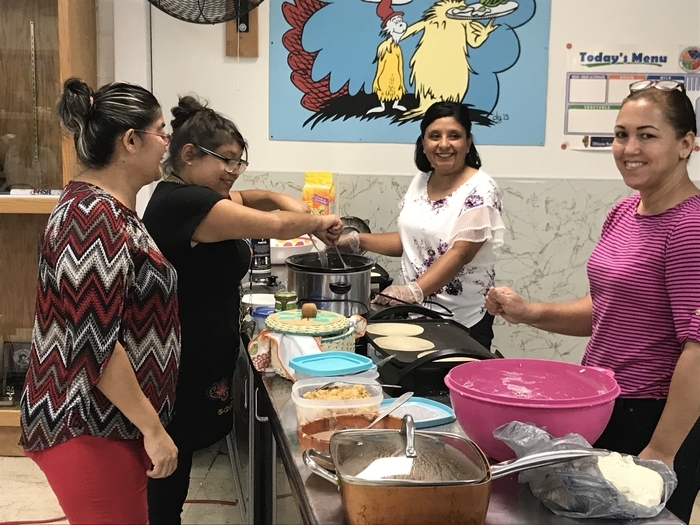 This change was required as part of the federal lunch program that the district participates in annually. 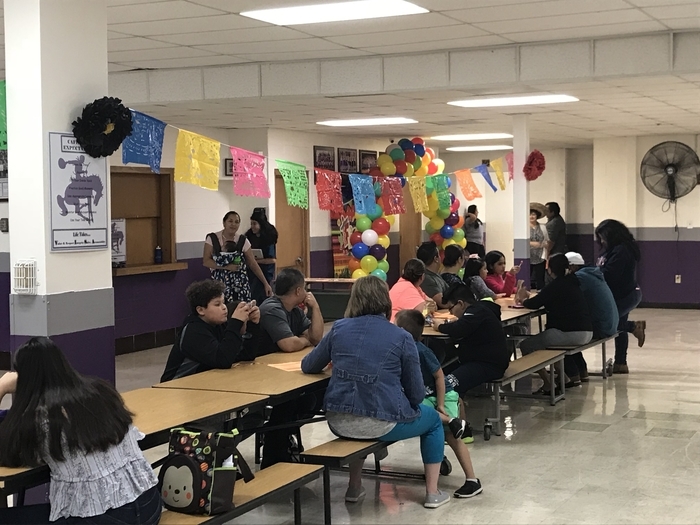 The district is required to keep the paid prices close to the per meal reimbursement rate set by the federal lunch program. On the other hand, the Board reduced or suspended completely a variety of fees for students for the upcoming school year. The following are the changes that will be in effect for the 18-19 school year: •	Reduction of Textbook/Registration Fee by $15 at all levels. The Fees will be ES - $30; JH - $40; HS - $45. 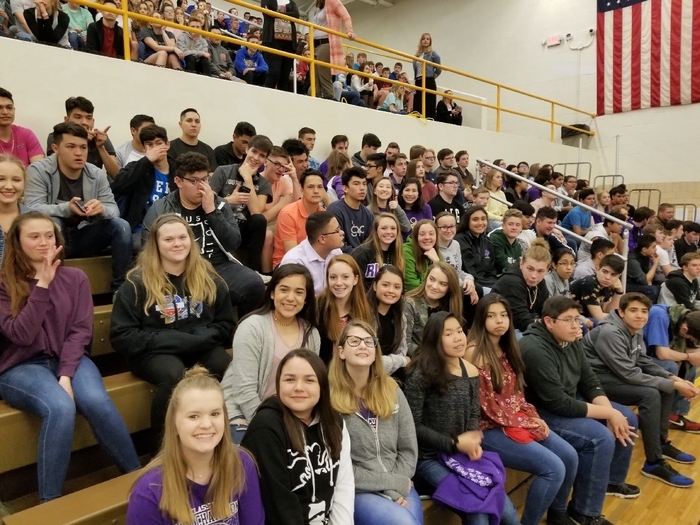 •	There will no course fees at the junior high or high school (these were $15 fees each for courses like Chemistry, Art, Ag, Business etc.) •	There will be no $15 student activity fee for junior high and high school students. •	There will be no $5 art fee for the elementary school students. 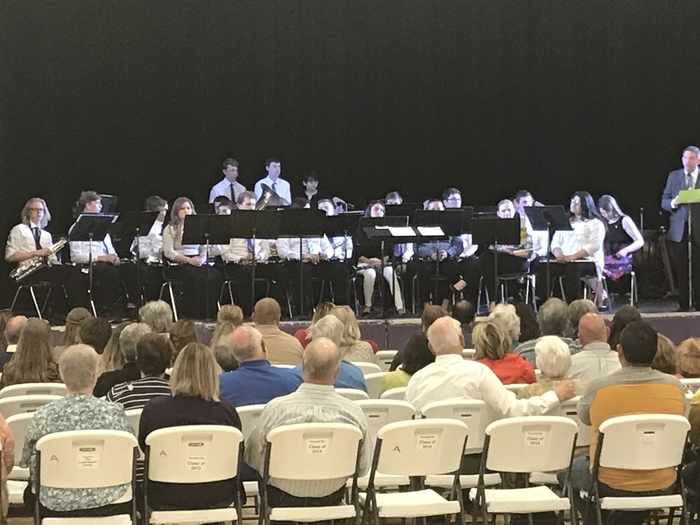 •	For junior high and high school extra-curricular activities, there will be a one-time $20 fee per student rather than a $20 fee per activity. 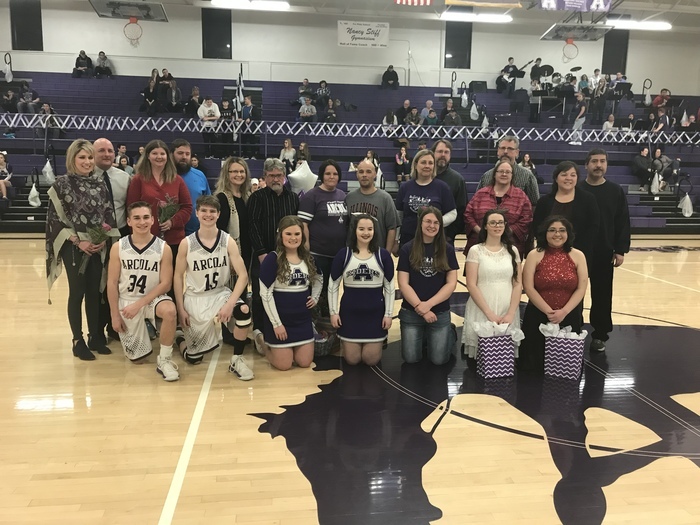 The parents and community of Arcola has always supported the school district in tough financial times. The district is currently in strong financial condition and as a result, the Board decided it was time to reduce fees. 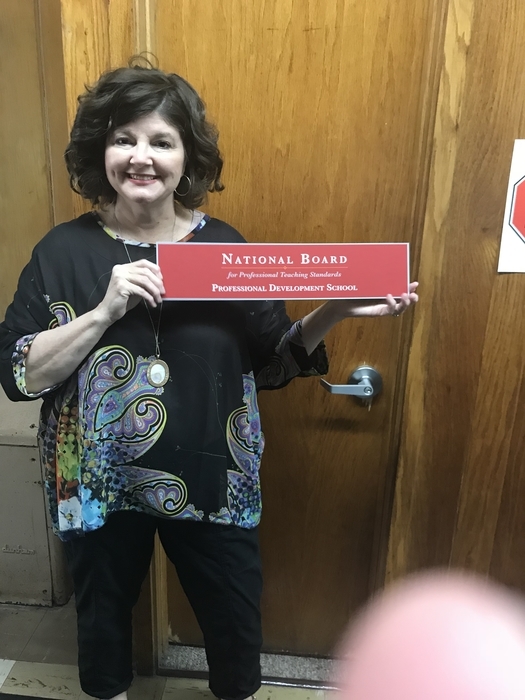 Mrs. Gentry proudly displaying that we will be National Board Cohort School in 2018-2019! 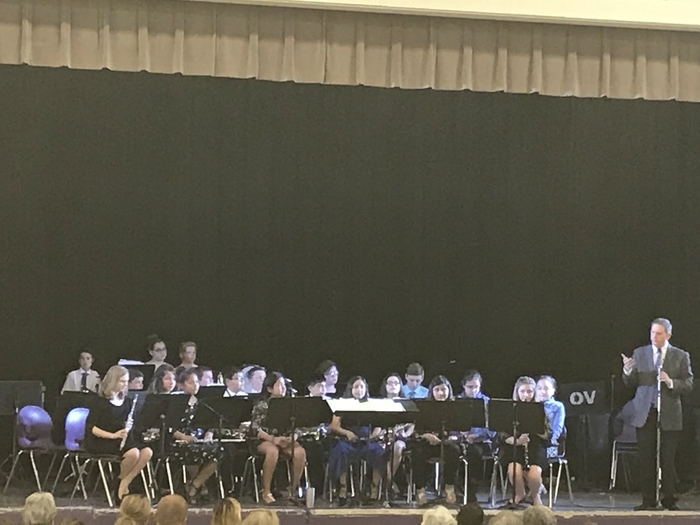 Arcola 5th Grade! 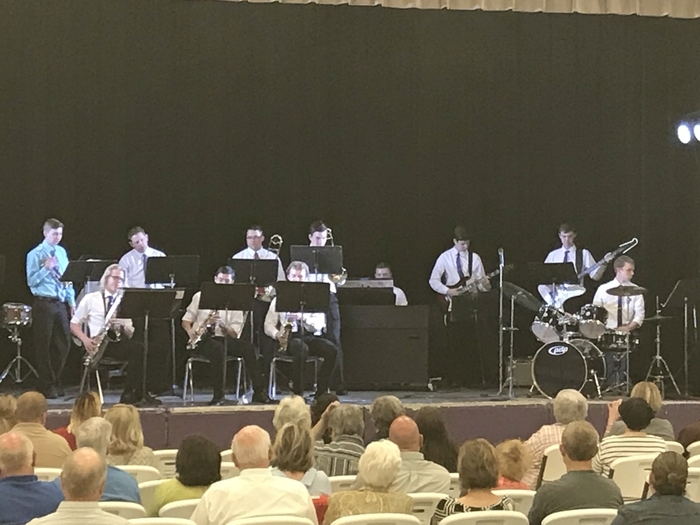 Awesome job guys! 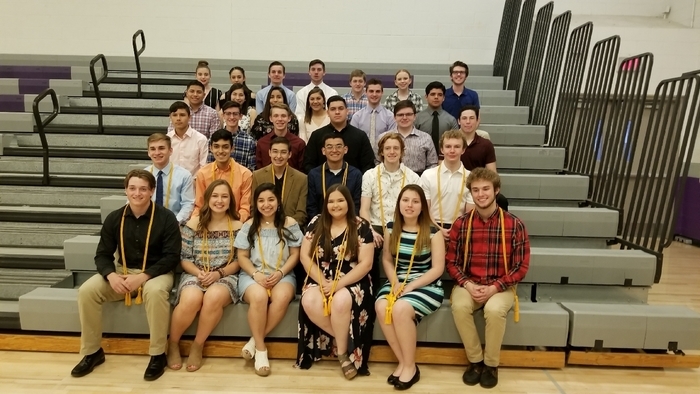 NATIONAL HONOR SOCIETY INDUCTIONS This afternoon, new initiates were inducted into the AHS chapter of the NHS. 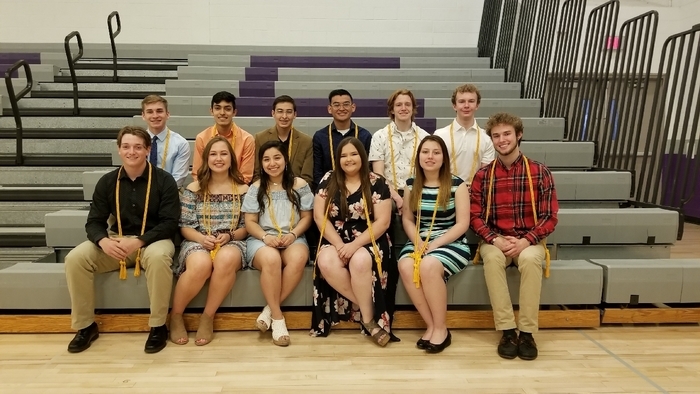 Seniors were also presented with their gold honor cords to wear at graduation. 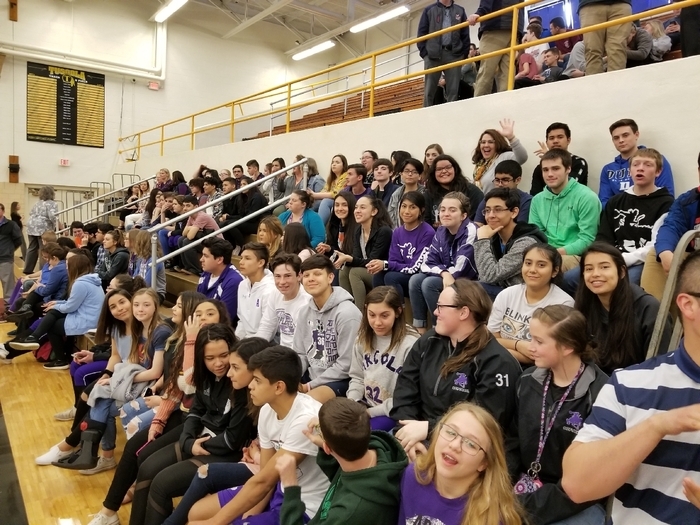 AHS students are at Tuscola High School this afternoon to hear Chris Herren, former NBA player, speak about addiction and self-destructive behavior. 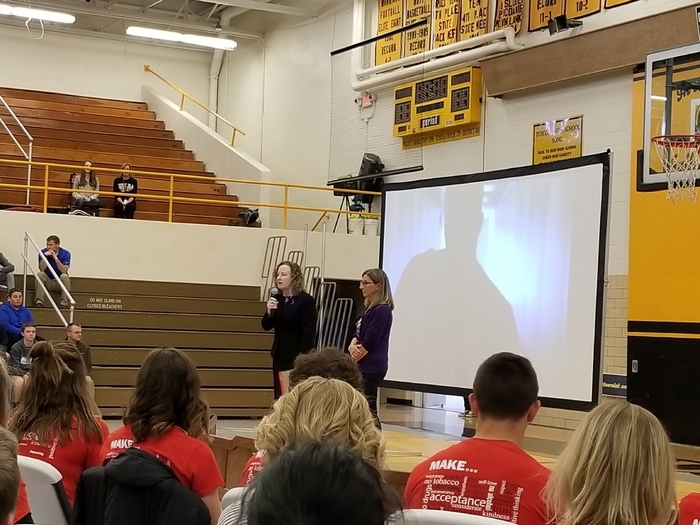 Linda Scribner, who lost her son Petey to a heroin overdose, helped organize the event and spoke to students from all over Douglas County before Mr. Herren. 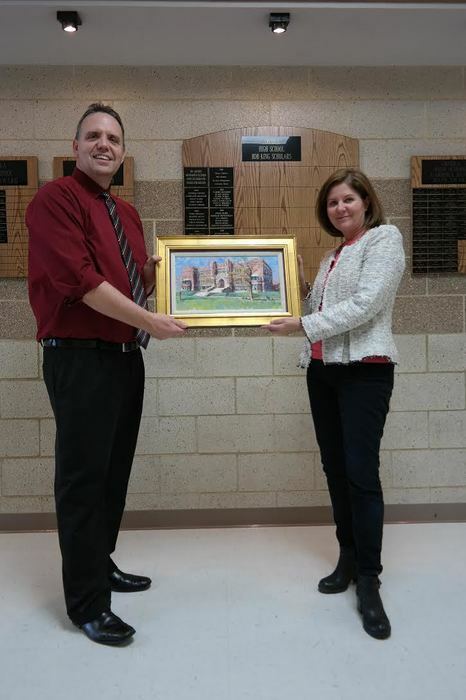 Arcola Alumni Gail Chaney Kalinich and her husband Kevin recently donated an original pastel painting of Arcola High School created by world class artist and Arcola Alumni Nancy King Mertz. Dear Arcola School Community, there was a rumor going around tonight about a potential school shooting tomorrow at school. 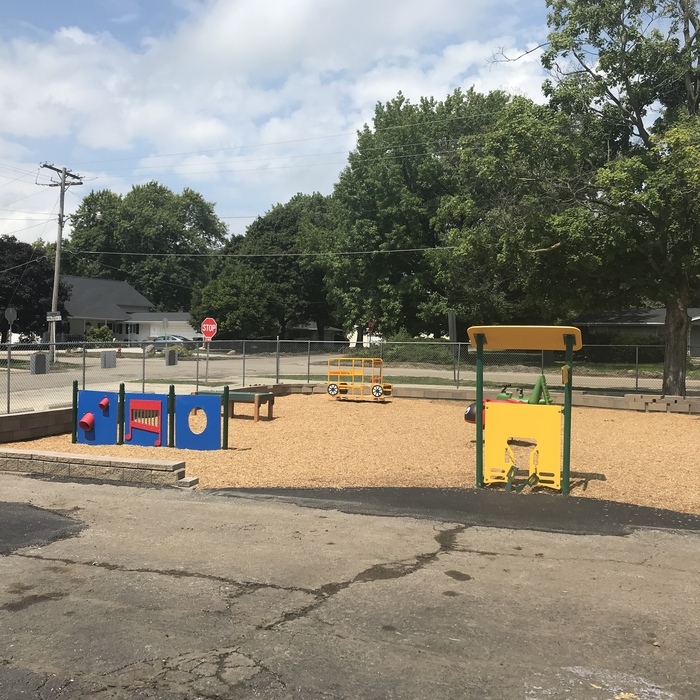 The district has been working with the Arcola Police Department investigating the situation. There is no creditable information that has led to any concern about student safety tomorrow. Again, there is NO Creditable Threat. But as a precaution we will have a police presence at school tomorrow. 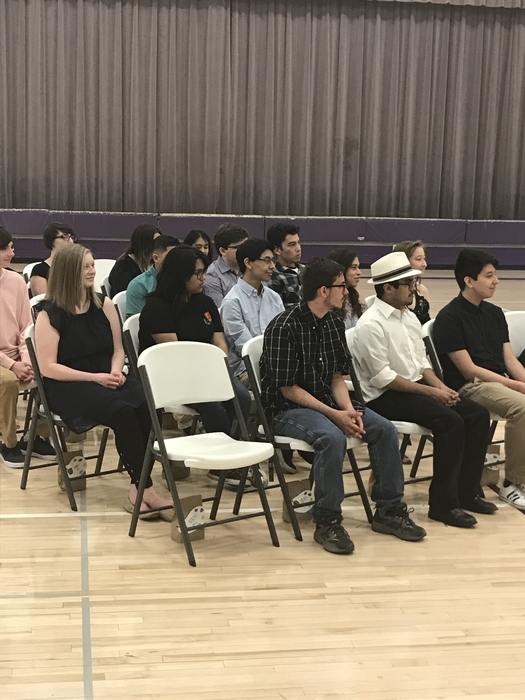 Several AHS students hearing from a Distinguished Alumni Gail Chaney Kalinich. 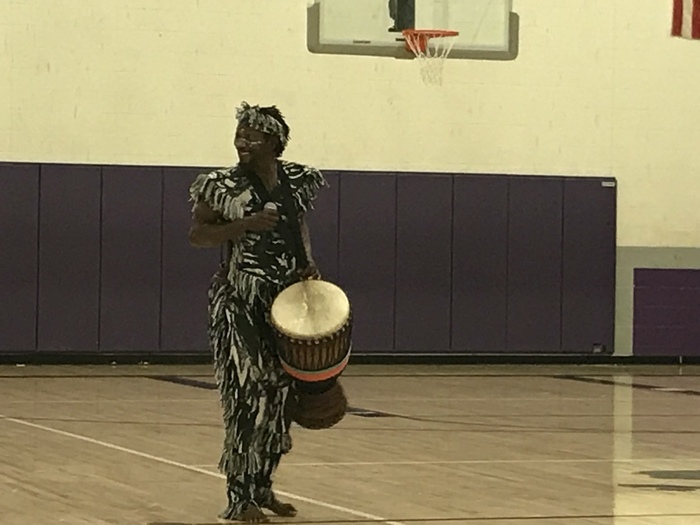 Arcola Elementary School students learning about the African Culture. Congrats on All Conference Honors! 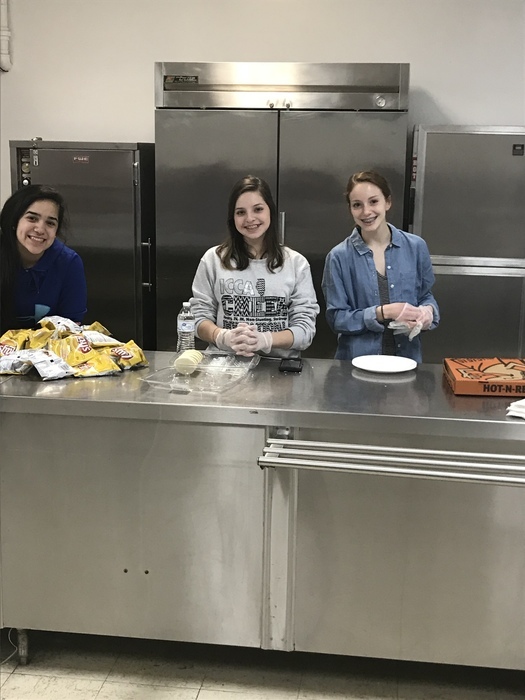 High school students helping out at elementary school Team Challenge night. Great part of a smaller school system!! Family Team Challenge at AES!!! 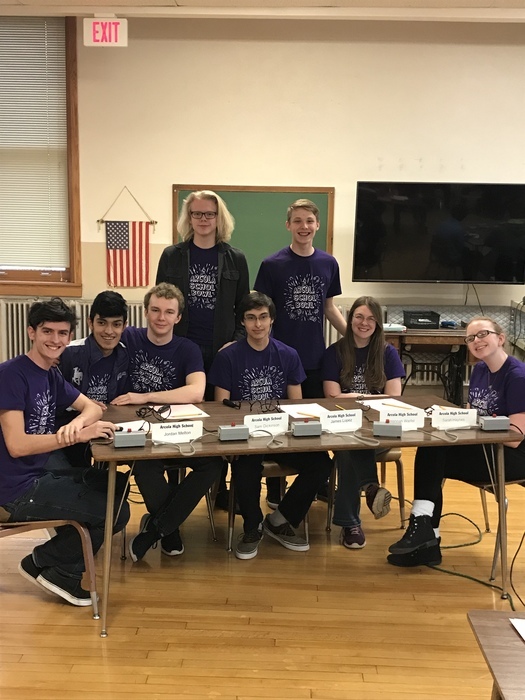 Scholastic Bowl team rocking it in Arthur! 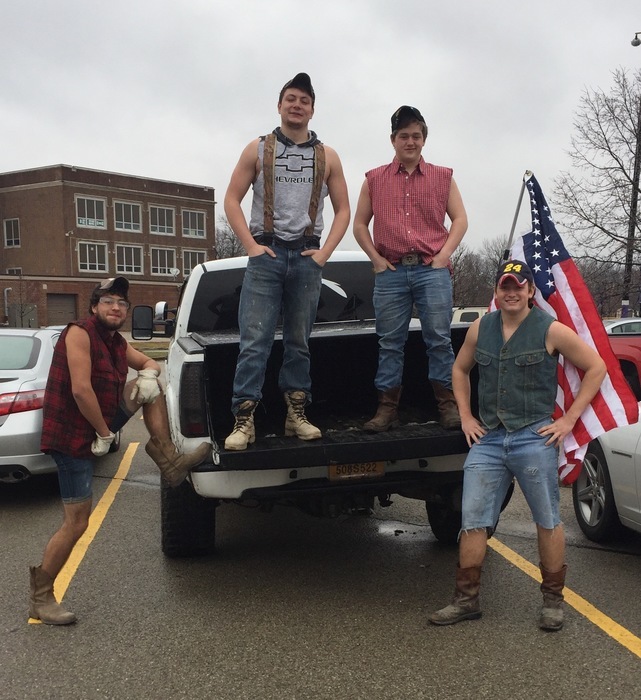 Check out these FFA Students supporting their best Redneck outfits for FFA Week! Riders lose a tough one in overtime 47-46. 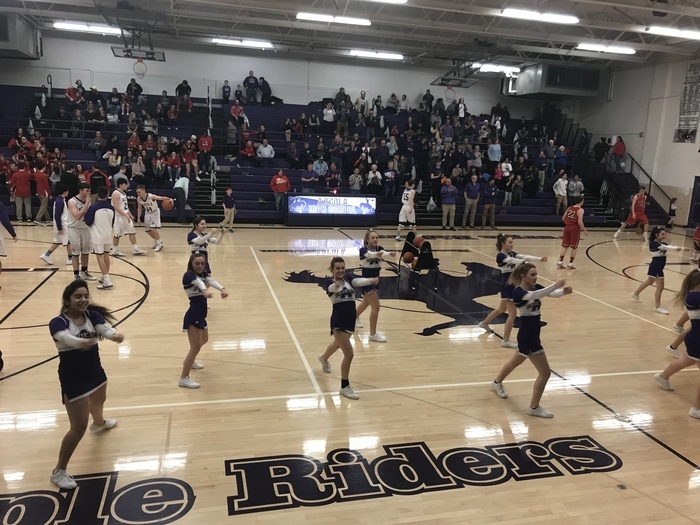 Riders up 30-25 at the end of 3. 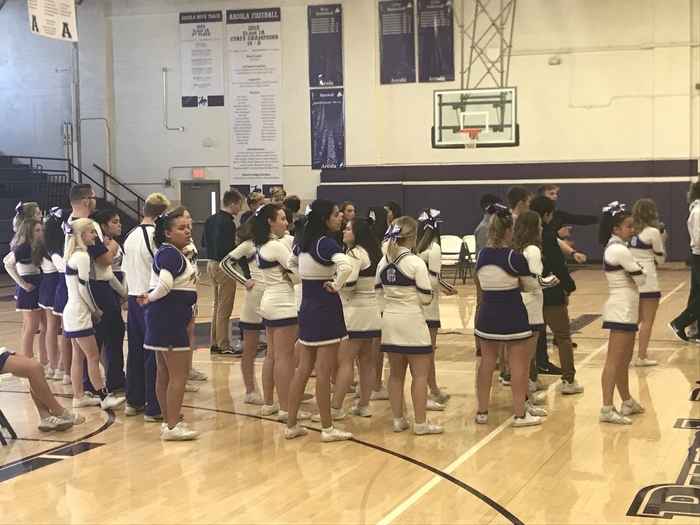 Arcola Boys Varsity up 21-11 at halftime of the first game of the regional. Riders lead 30-29 after 3 Quarters. Go Riders!!!! 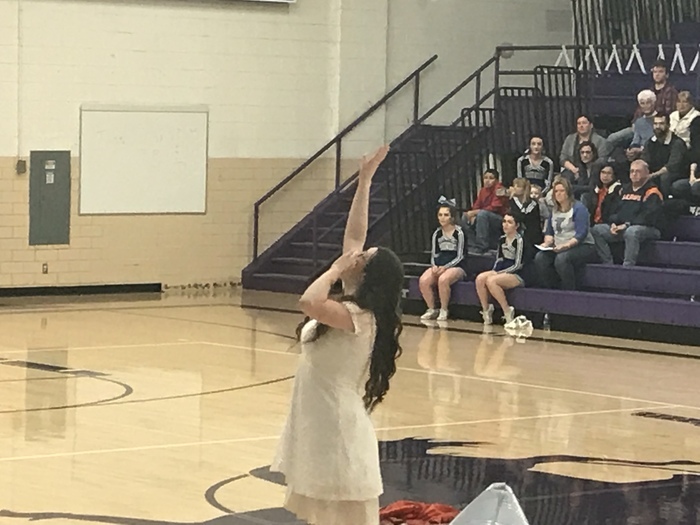 Senior Basketball, Cheer, Band and Winter Guard Seniors!!!! 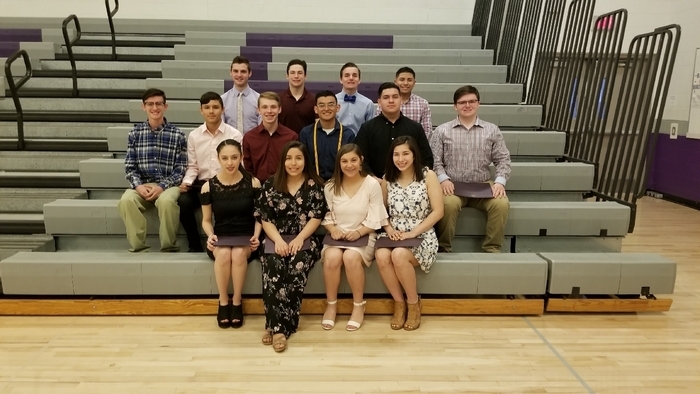 Congrats to our students and parents. 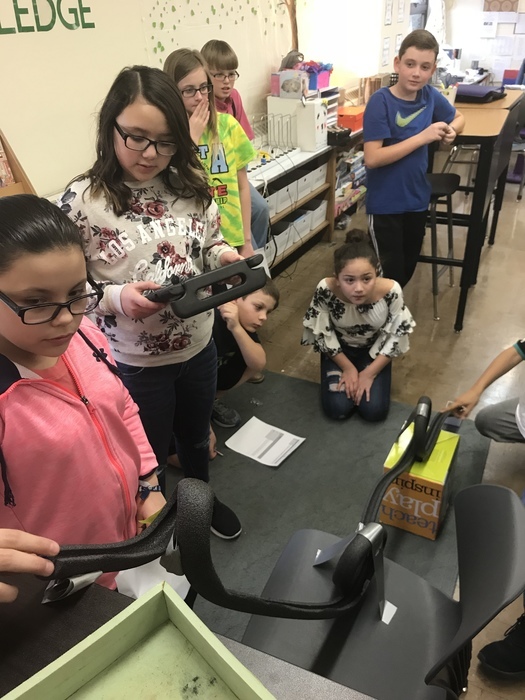 Learning can be fun even for Teachers. This is what we had to do to coach Stitt this afternoon to get het to cooperate! 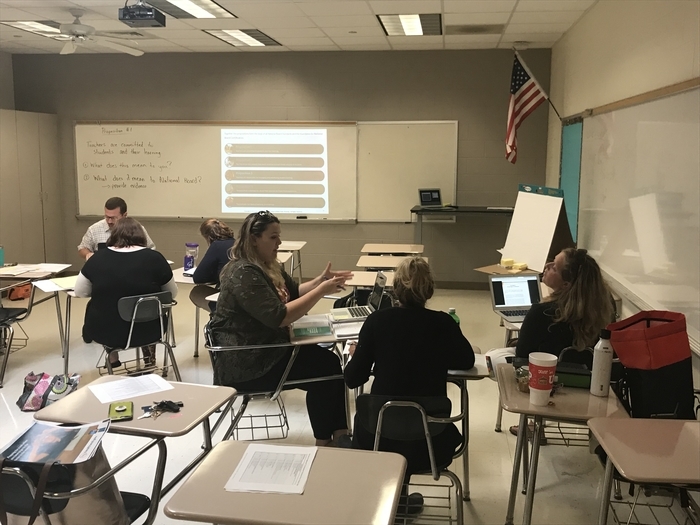 Teachers and staff engaged in learning during afternoon inservice! 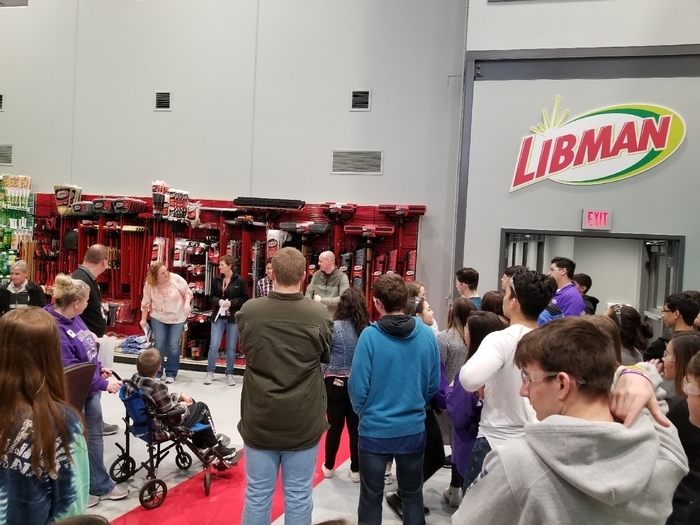 EIU Science Trip for HS Students! 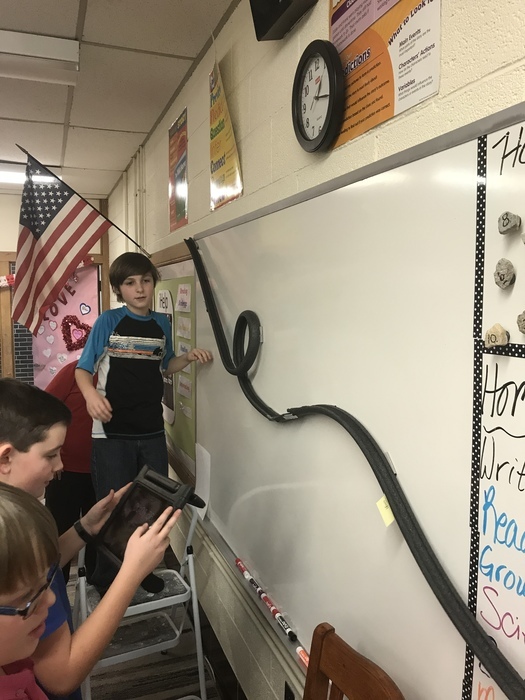 5th grade students building roller coasters to explain motion and force! 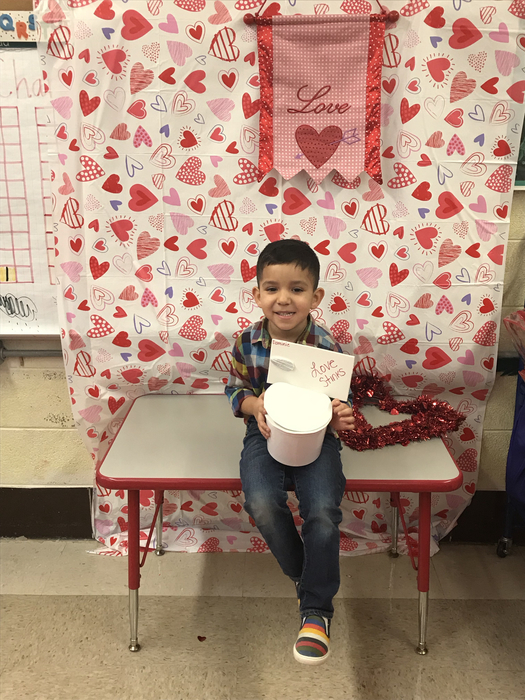 Celebrating Valentine’s Day at Arcola Elementary. Not everbody loves hearts. 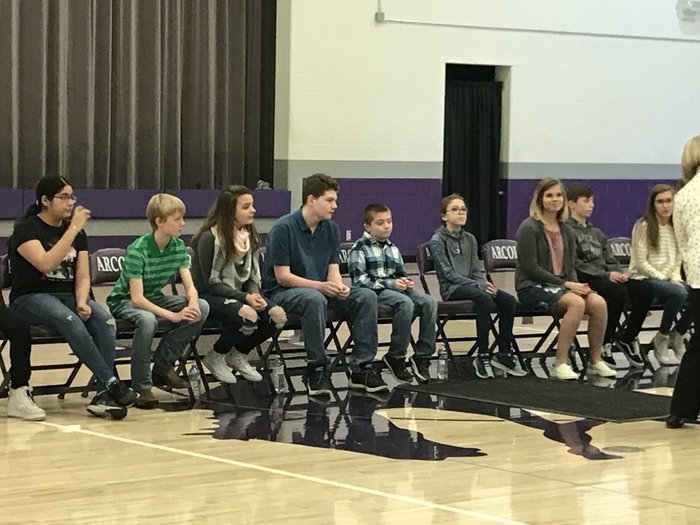 We are excited to be hosting the Douglas County Spelling Bee today. Good luck to all the contestants! Reminder: School will dismiss at 11:30 this Friday for a teacher institute day. Talked to a lot of great teacher candidates at Eastern Illinois University. SENIORS: GET REGISTERED TO VOTE! 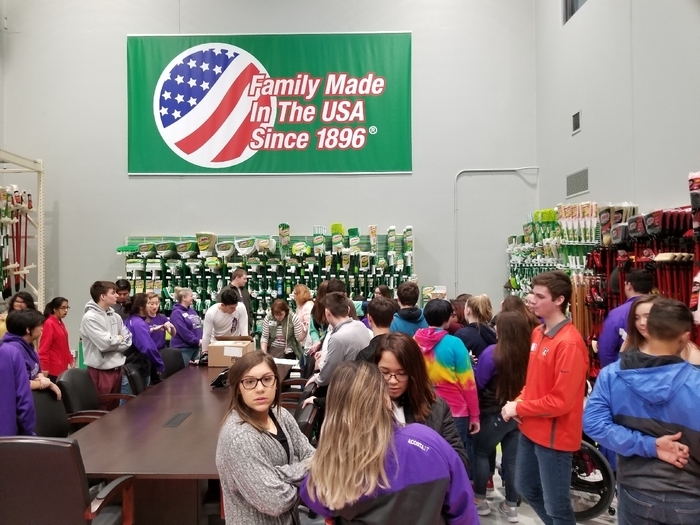 Deana Shields from the Arcola Township Office will be at AHS Monday morning at 8:40am in the HS library. Any senior who has turned 18 can get registered to vote in time for the March primary. To register, you will need 2 forms of ID: driver's license and piece of mail, school ID, school schedule, transcript, etc. 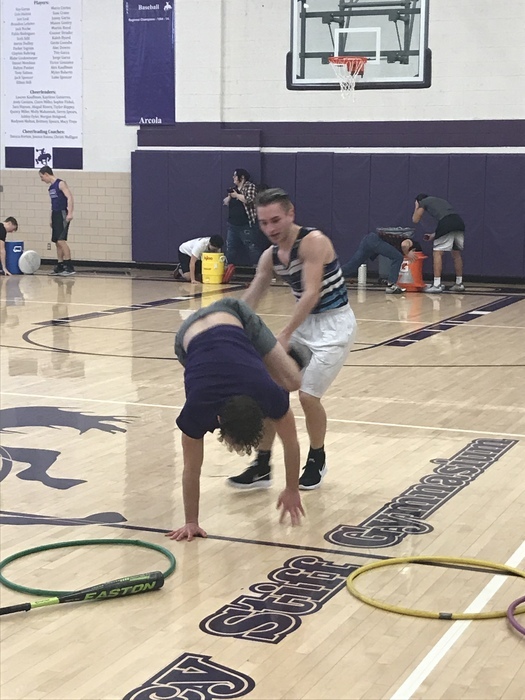 Arcola loses a great game to ALAH 61 to 53. 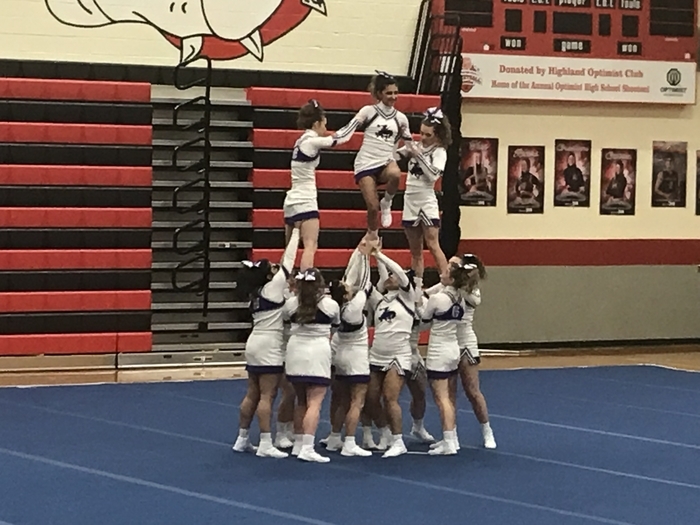 ALAH 43 - Arcola 31 end of 3. 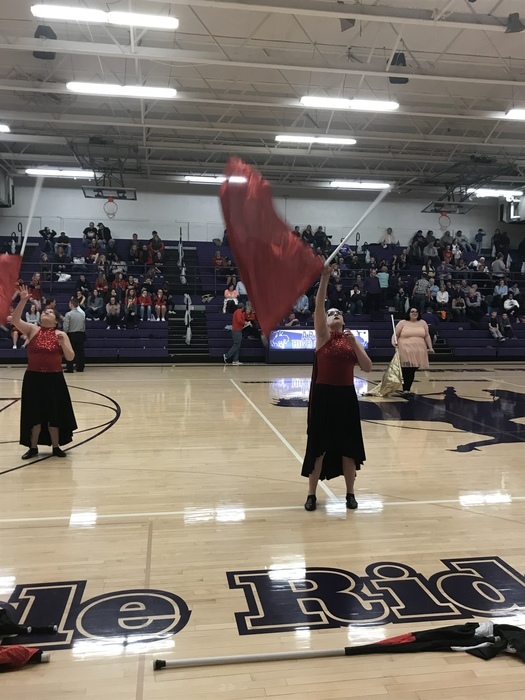 Arcola Winter Guard entertaining the crowd at halftime. 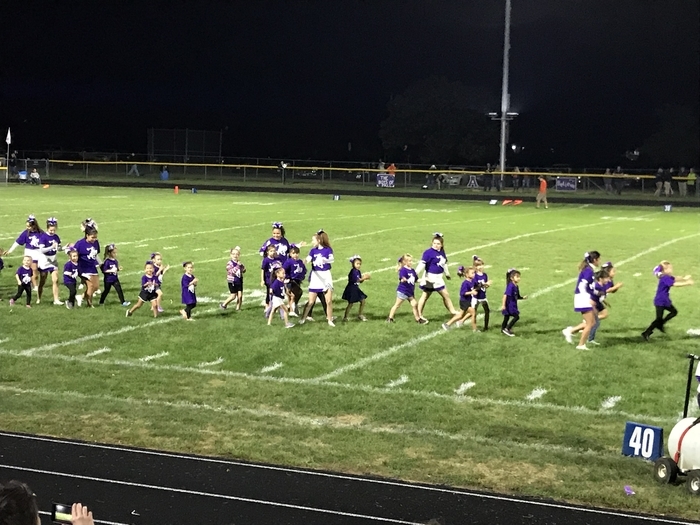 Purple Rider Cheerleaders leading the croed in the school song. 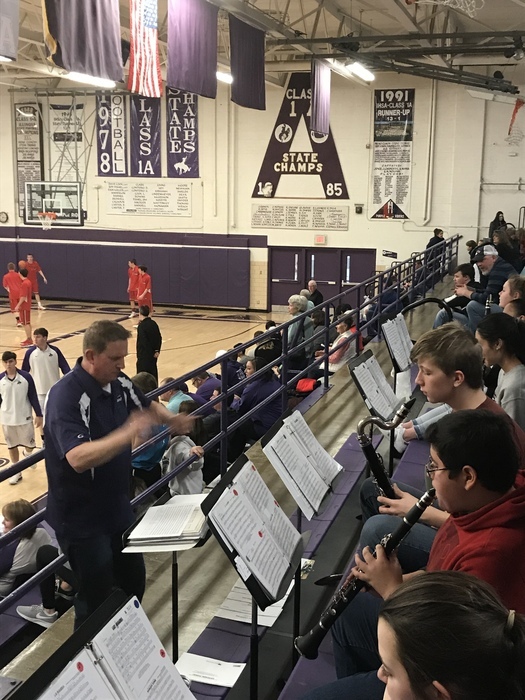 Arcola Pep Band under the direction of Mr. Mueller are entertaining the crowd! Another day closer to website release!!! The school district website is close to launching. 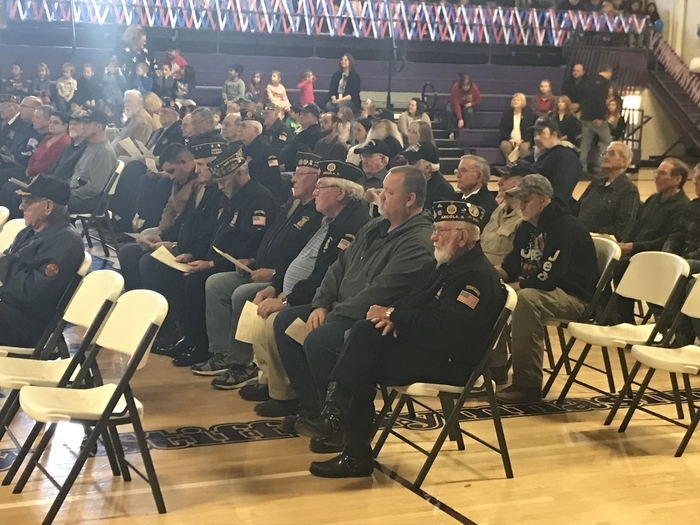 Can't make it to the Veteran's Day Assembly tomorrow? No problem! If we do not experience any technical difficulties we will be Live Streaming the event on the Torch Facebook page. Do you like our new website? Download the app for your mobile devices! Search your app store for Arcola School District.